There is nothing quite like a newborn baby. The softness of their skin, the wrinkles in their face, the tiny hands with super long fingers. Unfortunately, however, that real newborn feeling doesn’t last long. Before you know it, they have doubled their birthweight and start to look like proper babies. This is why so many people are starting to look for ways to keep those newborn moments real for as long as possible. Once way to achieve that is through newborn photography. In order for something to be classed as ‘newborn photography’, it needs to be done within the first few weeks of birth. It is at this time that the baby still has that real newborn look that people want to remember forever. Most often, these photographs are taken with beautiful props and backgrounds. In fact, it was popularized by Anne Geddes, who took photographs of newborn babies in flowers, pots, baskets and more. Not everybody is cut out to be a newborn photographer. It requires very special skills, not just in terms of photography but also in terms of people. First of all, they have to have an eye for what will look right when photographing a baby. Secondly, they have to be able to keep a newborn baby still, comfortable and, most of all, safe. Finally, they have to be able to work together with parents, who are often very nervous about someone as much as touching their newborn bundle of joy. The internet is a great place to find anything nowadays, which includes an excellent newborn photographer. Unfortunately, if you were to search on Google for a photographer in your area, it is likely that you will find many different results, and simply choosing the first one you see is not the best idea. You have to find someone who you feel comfortable with. You need to know that you will receive excellent quality work, both in terms of keeping your child comfortable and in terms of the quality of the photographs. Social media is a fantastic tool to use in order to review the different photographers that are out there. 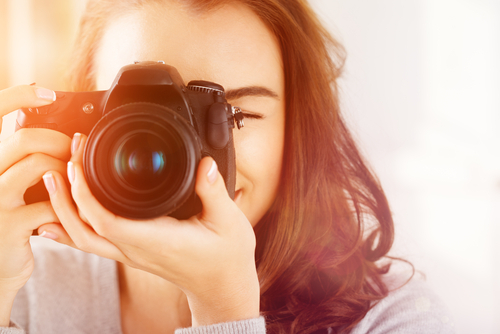 A good photographer will generally have a Facebook page where they include not just contact information, but also details about their methods of working and a portfolio of photographs that they have taken. This is an opportunity for you to look through who they are and what they do. Social media is also great because it allows people who have used the photographer to review the service they have received. This is something that is very hard to censor, so you can get a real feel of how people felt during their photoshoot. Reviews are incredibly important and probably the best tool at your disposal to find the photographer that is right for you and your newborn baby. This entry was posted in Parenting and tagged Photography.